Trailheads will lead you to clearly marked trails with mileage markers, color coded according to their designated usage, whether you're interested in hiking, climbing, horseback riding, biking, snowmobiling or ATVing . For water enthusiasts, a river difficulty scale chart is included along with a QR code connecting you to the National Stream Information Program for real-time water level updates. 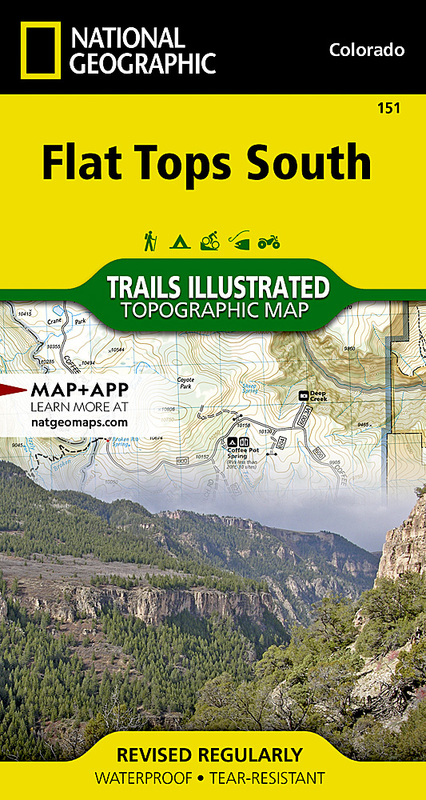 The map base includes contour lines and elevations for summits and peaks. Waterways and bodies of water, including rivers, streams, creeks and reservoirs are all prominent. The wide range of recreation features in the area is also clearly marked, including swimming and water skiing areas, boat launch sites, fishing areas, caves, scenic views and wildlife viewing areas.